Recently, Australian indie developer/ publisher, Nnooo, announced that it was going to publish a large number of indie games on consoles. The really good news is that a significant number of these are being developed by Australians. It's good news for the local indie scene that Nnooo is taking the initiative to bring more games developed by Australians to console, as it presents new opportunities to the industry that have been tough to come by at times. And it's good news for players too, of course, as it means more games for us to play on console! 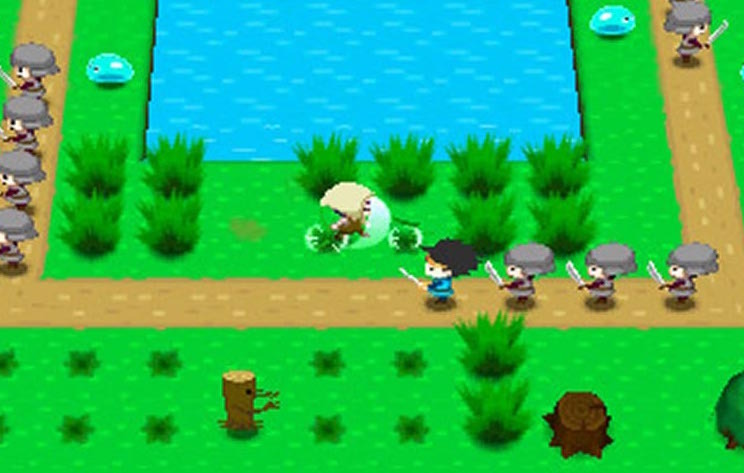 Our final interview this week comes from Librage, a Japanese independent developer that has partnered with Nnooo to bring its parody/homage to the Zelda series, The Legend of Kusakari, to the Nintendo 3DS. It looks like a straight homage to the series... until you realise that your job in this game is not to fight Ganon and save the princess, but rather to cut grass. Yes, you're a medieval lawnmower man. I have no idea how this game will turn out, to be entirely honest. It could go in a hundred directions, but as my chat with the game's lead, Kenichi Fujimoto, shows, the team behind the game is certainly approaching the job with a genuine sense of fun! Digitally Downloaded (DD): What encouraged you to partner up with Nnooo to bring this game to console? Kenichi Fujimoto (KF): We were going to prepare the publishing for North America and Europe after releasing The Legend of Kusakari in Japan. Then some foreign publishers contacted us saying that they would like to release The Legend of Kusakari in the West. It was Nnooo who contacted us first! Of course, we talked with other publishers, but the keenest publishers are Nic and Bruce from Nnooo. 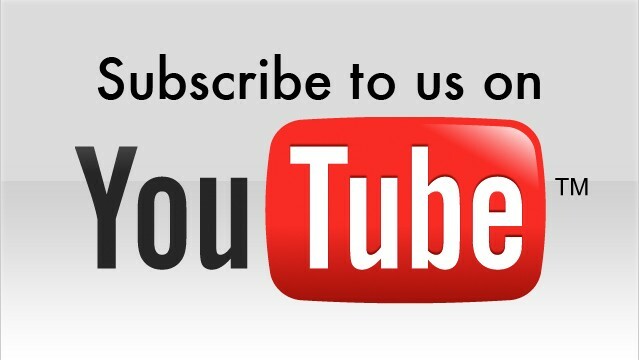 Which is why we decided to partner up with them! There were some others that propose more profitable conditions, but IT’S A SECRET TO NNOOO! DD: How have you found the process of developing for the 3DS? KF: Talented development staff who are familiar with Nintendo consoles gathered around Librage, allowing us to handle the process of developing for the 3DS flexibly and easily. While the Legend of Kusakari is a downloadable game we have strived to support the main features of the console, including the 3D and online leaderboards. When the 3D Depth Slider is on, the play fields’ graphics suddenly changes to 3D which really makes the game pop! All of the fantastic work is thanks to our talented development staff. DD: What was it about the 3DS that interested you as a developer? KF: We, the staff in Librage, had very exciting experiences with NES in our childhood and we wanted to provide this kind of excitement to people today. 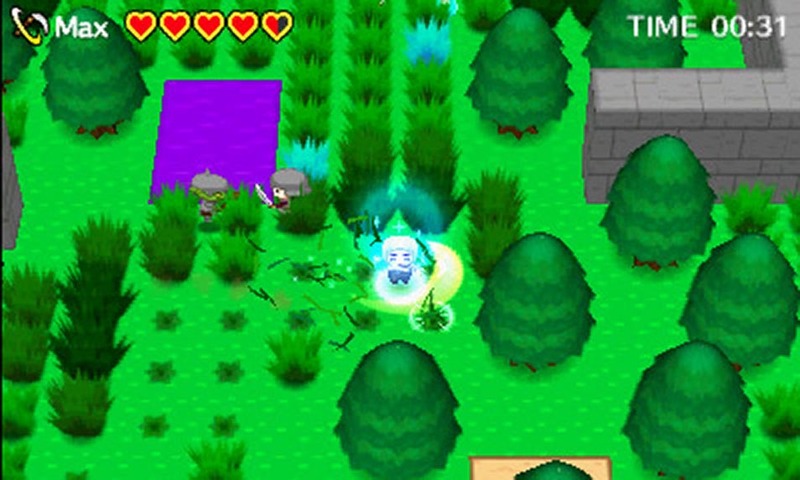 We also chose to develop on Nintendo 3DS as we hope players enjoy using physical controls. DD: What kind of audience are you looking for with your game? KF: Our primary target audience is children and the secondary is players of the Legend of Zelda who really enjoyed cutting grass in that game. To record the fastest clear time, it is important to choose which order the player should mow the grass in - it is a kind of puzzle. So those who like action or puzzle should like this game. DD: This is clearly a mix of parody and homage to the Legend of Zelda series. As with any game that puts humour at the forefront of the experience, there is the risk that it will fall flat or become dull over the course of the complete game. What do you think will keep people hooked into this game to the end? KF: This game is very much a homage to the Legend of Zelda series! The game logo deliberately draws reference to Zelda’s one as part of this. The staff in Librage love playing the Legend of Zelda very much and cutting grass a lot! 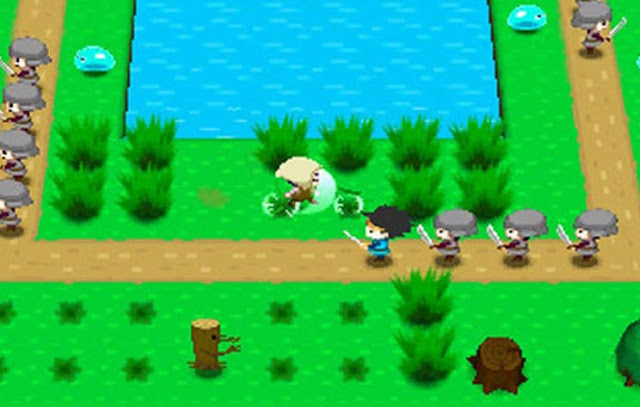 However, for the Legend of Kusakari, it is not a game which players just meaninglessly cut grass. 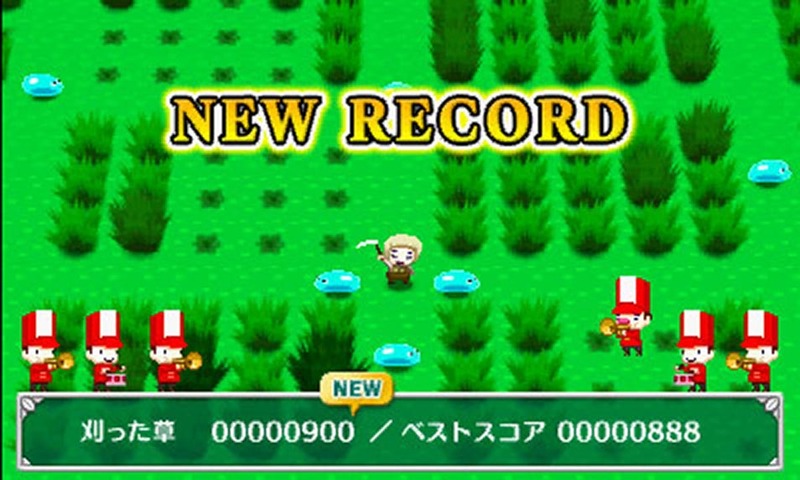 Not only is it necessary to avoid enemies and obstacles but the game also requires players’ to think of how they should best cut grass to get the elusive rank S. There is also a spin cut which needs to be used at a reasonable timing to achieve this. We thought that players would be tired of the game if we just mimicked the cutting in the Legend of Zelda. We believe a factor that keeps people hooked into this game is how we take the homage to Zelda’s mowing and also express our originality in the gameplay. DD: We're promised over 50 levels, but are we looking at a difficult 50 levels or is this more designed to be a weekend buster to enjoy with a couple of beers? KF: While the users may think this game difficult at first and perhaps may be confused about their first impression, much like playing an old-school game. The more times they play the game, the more skillful they will become and then “click” they will get it! While at the same time they get to enjoy the simple work - cutting grass. Users can also enjoy this game with a couple of beers because some of the testers actually played the game while drinking beers. We found that their drinking speed was faster when playing Kusakari than eating snacks! DD: The art style is very distinctive. What inspired that approach to the art style and graphics? KF: Basically, we applied a “kawaii” (Japanese phrase for cute) aesthetic to the game. While graphics technology is getting more clear and high definition, the interest in making this game is not just the graphic technology and Kusakari’s attractive point is not just graphics, so we took this kawaii art style and applied it to the game so that it is easy to enjoy and relaxing. DD: Could we see this game come to other consoles in the future too? KF: Needless to say, the logo design is the homage of the Legend of Zelda, and we were allowed to do it just because the game is released for Nintendo console. We thank Nintendo very much for accepting this logo design. That in turn is why we will not release Kusakari on other consoles except for Nintendo's. 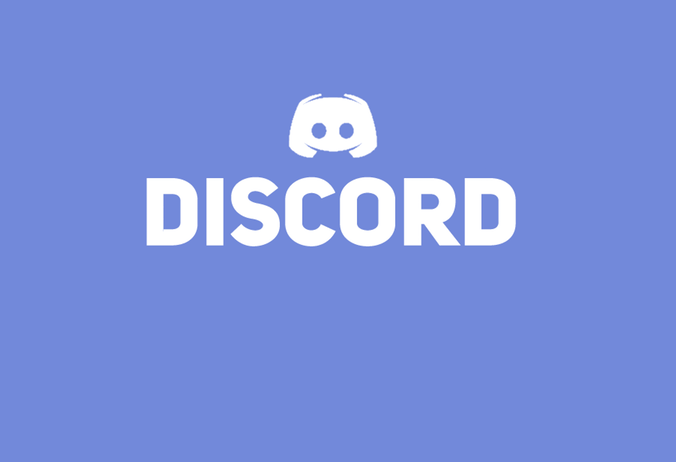 DD: Finally, what games are you playing at the moment? KF We are a game publisher and developer, so we play various games in various genres. We currently play the following titles. A little bit too much perhaps? Item Reviewed: A week of indie interviews: Mixing parody with homage in The Legend of Kusakari 9 out of 10 based on 10 ratings. 9 user reviews.